After a wonderfully delicious Thanksgiving, you may or may not have leftovers. And if you've got a family like mine, we indulge in appetizers and the main feast that it's no surprise we have some desserts leftover. If you have leftover pie, no worries! I've got some great ideas to incorporate them into something new, thanks to my friends at Bakers Square. Who knows... you just might like the pie leftover ideas beyond the slice! Leftover Pumpkin Pie - What to make? Pumpkin and chocolate go really well together, so why not take those pumpkin pie leftovers and make them into Chocolate Pumpkin Truffles! Place the leftover pumpkin pie (crust and all) with a bit of cream cheese and some graham cracker crumbs to bind it all together. 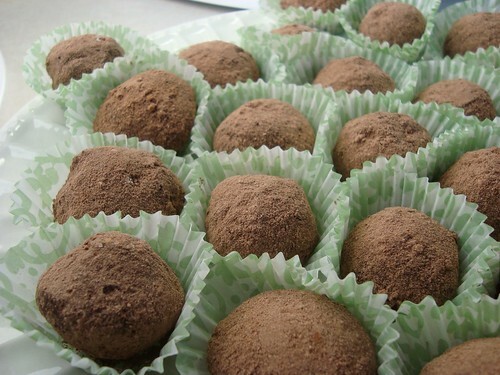 Roll the mixture into balls and coat them in cocoa powder. Place in mini muffin liners and voila - a no bake treat! Leftover Apple Pie - It's never too cold for ice cream! You can either make homemade vanilla ice cream with swirls of apple pie mixed in, but if you want to go an even easier route, use store bought vanilla ice cream. Mash up that leftover apple pie (crust and all) and stir it into some softened vanilla ice cream. Transfer mixture to freezer container and freeze until firm. 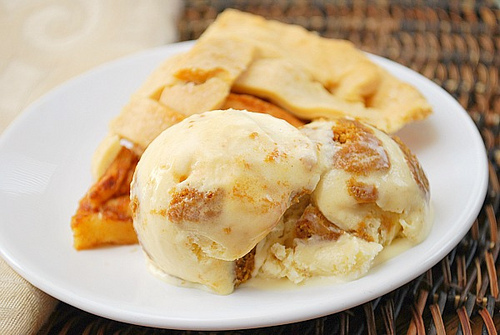 Scoop it up and enjoy an effortless version of Apple Pie Ice Cream. Leftover Cheesecake - Breakfast is sometimes the last thing on your mind after a big dinner. But in the event you have some leftover cheesecake, you can use it as a fancy filling for Cheesecake Stuffed French Toast. 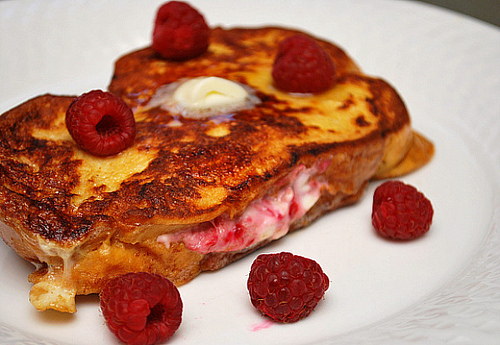 Prepare your favorite french toast recipe. Sandwich two pieces of bread together with a bit of mashed cheesecake in between the slices. If you want, add some fruit sauce - I used Bakers Square's Triple Berry Sauce. Continue cooking your french toast on the skillet. When served, the creamy filling will be a sweet surprise! Leftover Caramel Silk Supreme - This has got to be my favorite Bakers Square pie and it was hard to come up with any other way to serve this pie. But I managed to come up with something.... where I can drink my pie! 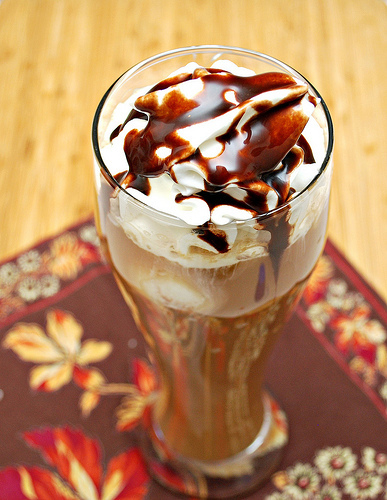 Blending up a slice of pie with some ice cream and a touch of milk resulted in this Caramel Silk Supreme Pie Shake. You can certainly do this with any slice of pie and adjusting the amount of ice cream and milk to your desired consistency. So the next time you have pie leftovers, there are some great ways to still enjoy them beyond the pie slice! 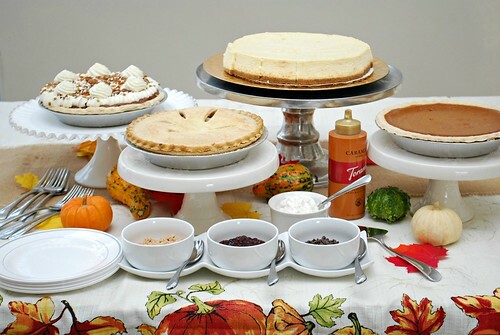 What's your favorite way to enjoy those leftover pies?